Purchase just the Digitizer (Touch Screen) for $189.95. Purchase just the LCD screen for $79.95. Check out our blog post for a written tutorial on how to replace the LCD / Digitizer! The replacement service that we provide for the Toshiba Satellite C55DT includes the cost of a brand new LCD screen and the labor to install it. This service also comes with a No Dead Pixel Guarantee and a 6-month warranty on parts and service. We use genuine new LCDs, not aftermarket or cloned products. 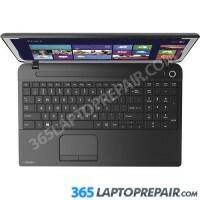 The Toshiba Satellite C55Dt-A5307 AMD comes standard with 4GB memory. You can upgrade to 8GB, 12GB or 16 GB.